eSports are in the spotlight. 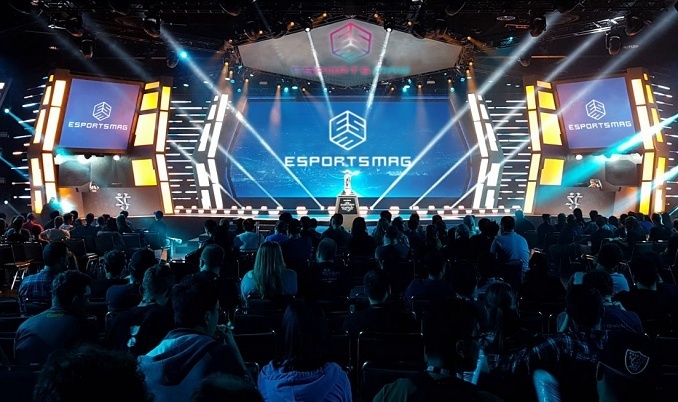 Starting today, the world of the so-called electronic sports has its “own” newspaper: eSportsMag.it. A strictly online magazine, since we are dealing with a highly technological and digital-oriented sector, but not only. Yes, because this newspaper will have implications also in traditional publishing house, that is paper version, starting from a dedicated page within the monthly magazine Gioco News and set to become very soon also something more. But this is another story. For the moment let’s focus on the digital and the birth of this new portal, that is proposed as the first newspaper entirely dedicated to the eSports universe (read here to understand why we adopt this terminology). An ambitious project, as you can well understand reading these few lines, but which lays the foundations on a strong network like that of GiocoNews.it – ​​leader in the Italian gaming sector since ten years – and aims to highlight a highly complex and exciting universe, like that of electronic sports. A phenomenon that has reached staggering figures at gloabl level, and is exploding even in Italy. Indeed, it has already exploded, having gained the attention of a large share of the public and that of many investors, of various kinds and different sectors, who see its opportunities. As Nielsen also explained, in the report commissioned by Aesvi on eSports in Italy, which talks of over 260 thousand people called “Avid Fan”, that follow daily events of eSports, accompanied by other eight hundred thousand or something, declaring to follow events not every day, but anyway several times during the week, bringing the fan base to overcome one million users. Clear sign that the phenomenon already exists, and at large levels, even in our country, where it should only be consolidated. Aiming to the final recognition, and on several fronts. First of all, in terms of business and, therefore, among the marketers: since many, indeed great many, among company executives, look with interest but with caution to this world, because they still can’t understand and interpret it. The other expected recognition, perhaps even more important, is that concerning sport, with eSports that could – indeed, should – be placed as a real discipline, to the point of being able to reach the Olympic Games. Two processes already started in some way, albeit quietly, but which must be supported by appropriate information, given the need for content, analysis, and, therefore, news: that is the real gap of this sector. And the editorial group Gn Media wanted to create a new online newspaper, exclusively aimed at eSports, just to meet these needs. Creating a new editorial staff, entirely dedicated to this project, supported by the team of GiocoNews.it, now well estalished and already active on the front of eSports. 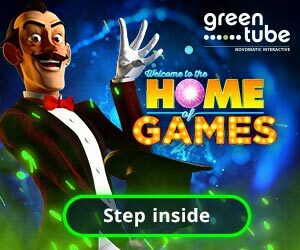 In fact, everyone will realize that the first content made in our country on this matter comes from that editorial staff, who first began to tell the rise of the phenomenon, starting from the link with betting sector, very popular in many countries, until getting to explore in detail the recreational, sports and business aspects related to them. Also bringing the eSports subject into an international and prestigious showcase such as the Social Media Week in Rome and Milan. Receiving a considerable interest, precisely because of the appeal aroused by this discipline and the need for information we were talking about earlier. But now all this represents the past: now is the time to look to the future and to the possibilities of growth, development and regulation of this sector. That needs clear rules, protections and incentives, to ensure that it emerges in a healthy, safe and controlled way. For the good of the players, who practice this discipline, usually young, often very young, and for that of all the stackholders involved in various ways in the eSports ecosystem. Only through a proper recognition of the ludo-sports practice, which therefore takes into account all the aspects related to it, the doors of the success can finally open for this activity. Where gaming is a very serious thing. On which we should not joke. For our part, through the editorial staff of eSportsMag.it, we will do our best to provide a serious and correct information: always trying to be up to date, trying to be on step ahead of this, sometimes, following the evolution of eSports. You will tell us if we are good in doing it: through our social channels (Facebook, Twitter and YouTube pages of the portal have also been activated, together with the website) or interacting through all the other channels made available by the technology. Meanwhile, we are already working to offer the highest level of analysis on the subject, which is already becoming an object of general interest: also from politics and institutions, which already identify critical issues in the phenomenon, as always happens for all new or emerging phenomena. Even more, for us will be useful to have as much information as possible at disposal. While players don’t have to do anything but continue to cultivate their passion for videogames and competitions. Of course by informing themselves (maybe right through this channel! ), but without worrying too much about the outline. And let them play. The rest will follow. The mechanism has now started and the path already outlined. It will be a successful path, there are no doubts about it.